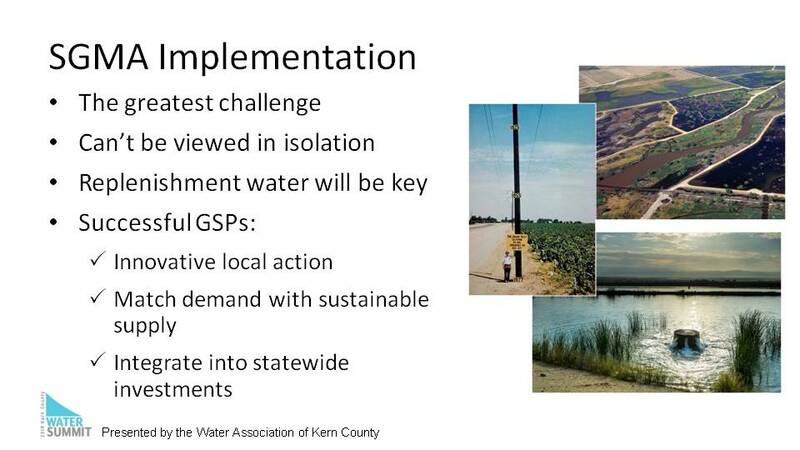 Since the Sustainable Groundwater Management Act (SGMA) was passed in the fall of 2014, new Groundwater Sustainability Agencies have been formed across the state to manage the groundwater basins, and the discussion has now turned to the difficult task of preparing plans to sustainably manage their groundwater basins. 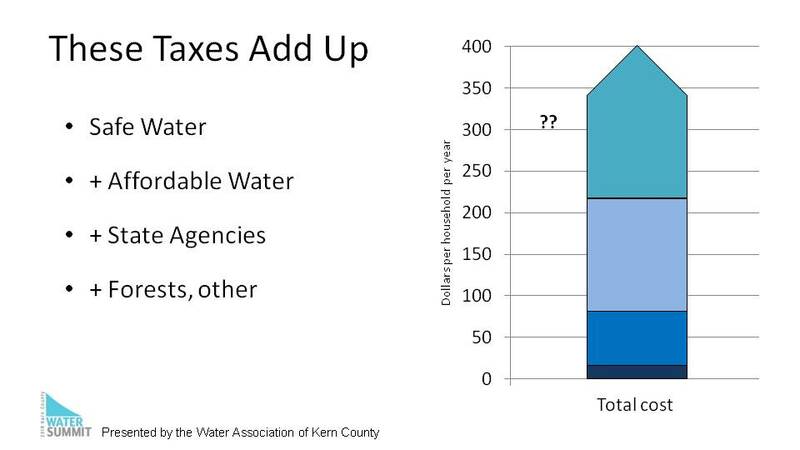 With Kern County being home to three basins considered critically overdrafted and with about half of all water use in the region coming from groundwater, just how implementation of SGMA is going to play out was a topic of much of the discussion at the 2018 Kern County Water Summit held in March of this year. 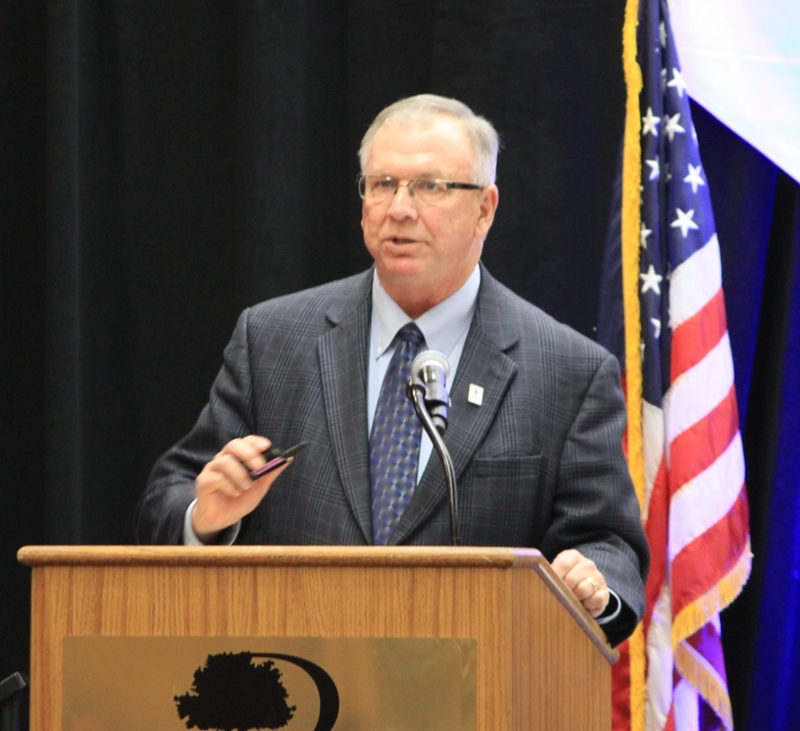 In keeping with that, the luncheon keynote speaker was, Timothy Quinn, Executive Director of the Association of California Water Agencies. In his remarks, he focused on groundwater replenishment as being key to lessening the impacts, as well as the importance of working together to find creative and innovative solutions. 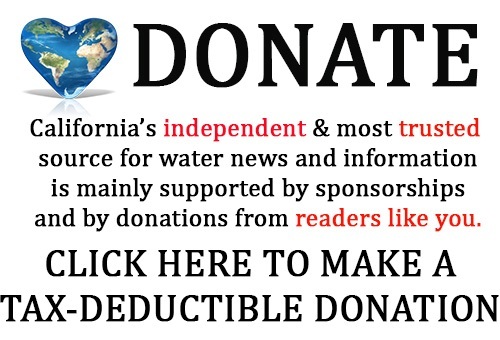 Mr. Quinn is the Executive Director of the Association of California Water Agencies, a statewide organization that represents 430 public water agencies who collectively are responsible for 90% of the water delivered to cities, farms and businesses in California. 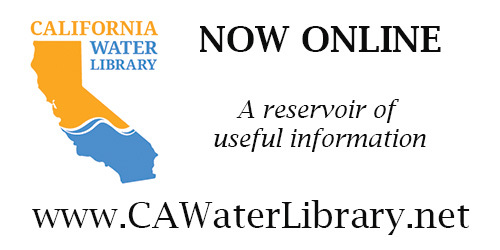 ACWA is governed by a board of 37 people, a diverse group representing every corner of California – ag, urban, east, west, north, south; he noted that in his world, east and west is more of a dividing factor than north and south. Successful groundwater sustainability plans will have to take innovative local actions to match demands with sustainable supplies. 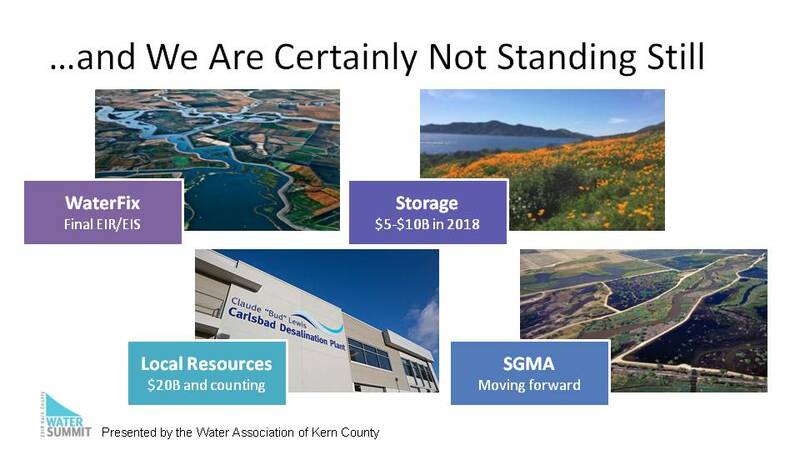 “We think at ACWA, that’s going to mean integrating what you’re doing into a functional surface supply system, which we’ve lost over the last couple of decades, and we need to restore it,” he said. 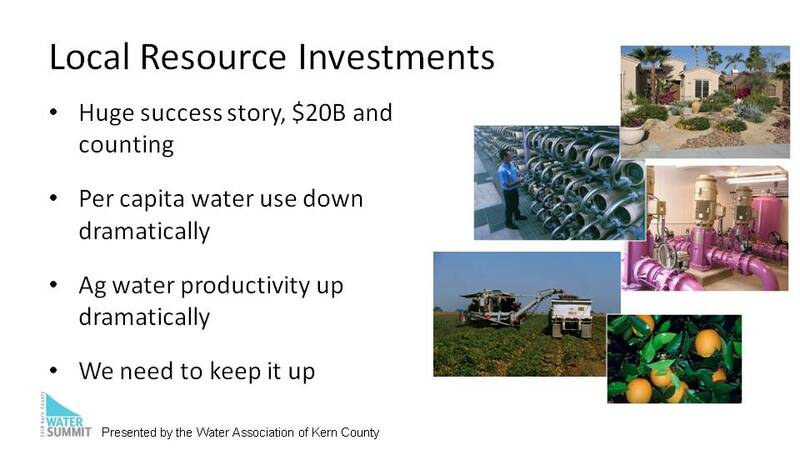 Del Puerto Water District, a CVP contractor, has entered into a partnership with the cities of Modesto and Turlock to take their wastewater, treat it, recycle it, and use it for irrigation. Now their minimum supply is going up from 0% to 60%; he noted it was not cheap, but they are paying for the bulk of it themselves. North San Joaquin Water Conservation District, just east of Lodi, operates out of a garage; it’s just two guys with no staff who don’t get paid, but nonetheless run a pretty good district, he said. The night of his visit, they were holding a Prop 218 election with their growers to pay for an $18 million capital project to capture high flow Mokelumne River water, which they had a water right for, to put into their groundwater basins. 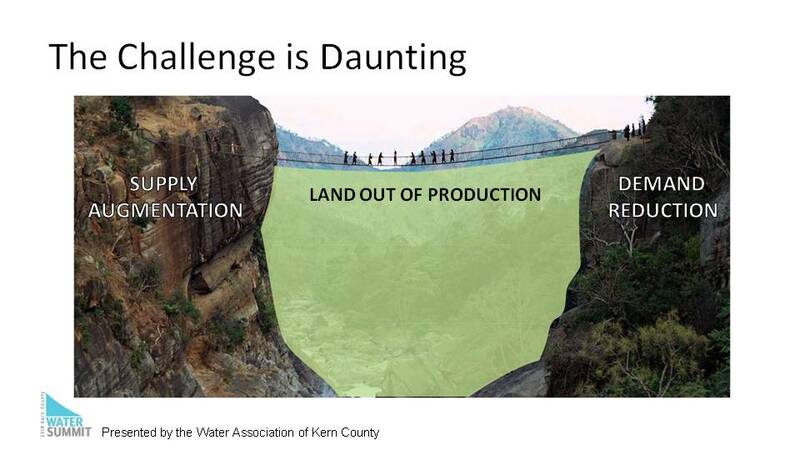 The agencies on the San Joaquin tributaries are coming up with innovative ways to get water into their groundwater basins when it’s available. Red Top was an unmanaged area without a water district that was using a lot of water and was a ‘poster child’ for land subsidence, he said. 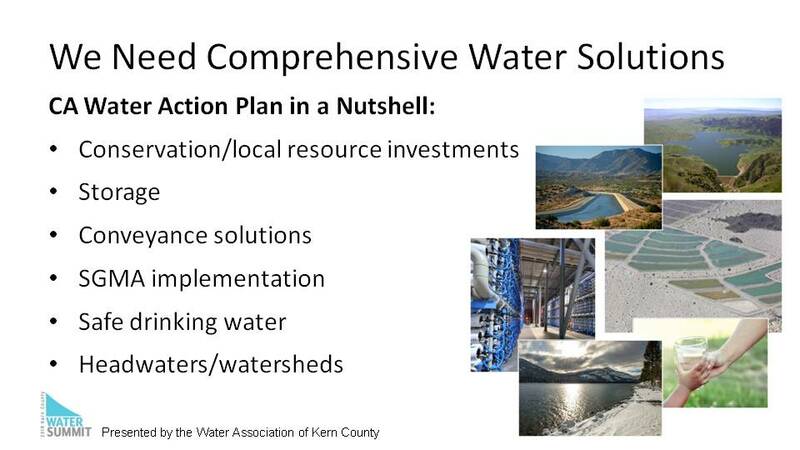 They have now formed a water district that’s talking with water districts who have surface supplies about how they do some innovative things to conjunctively manage supplies. “The trick is to combine those wet period flows with groundwater recharge and if you’d have told me 10 years ago, I’d be listening to that conversation, I probably wouldn’t have believed you,” he said. 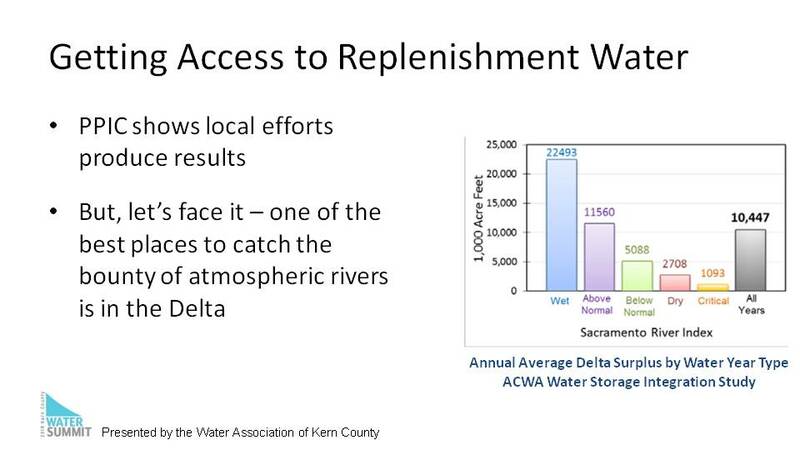 He presented a slide with a chart, noting that the chart is from a recent ACWA study called the Water Storage Integration Study which was performed by MBK engineers. 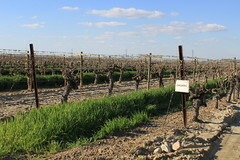 There are two bonds headed for the ballot, Proposition 68 in June and another backed by National Heritage Institute and Jerry Meral that is expected to quality for the November ballot. 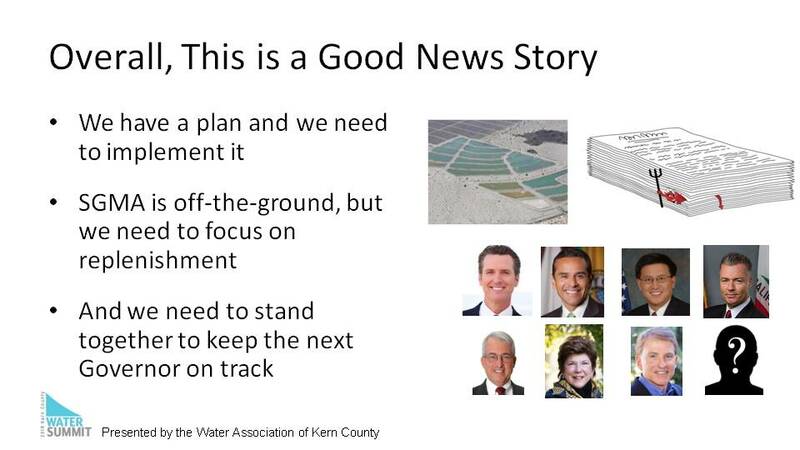 The ACWA Board of Directors supports both of the bonds, noting that the bond that will likely be on the November ballot has funding to help with SGMA implementation and subsidence in the Central Valley. 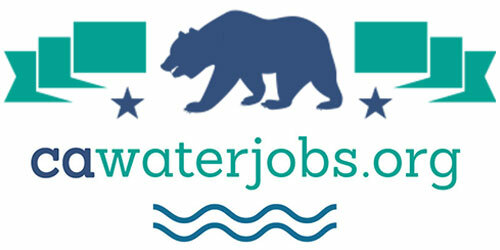 “ACWA would strongly urge you to talk to your boards about taking a support position and being active; combined there’s about $13 billion investment in California’s water system, and we will do everything we can to educate voters, make sure they understand the ups and the downs to encourage them to go to the polls and hopefully vote yes,” he said.